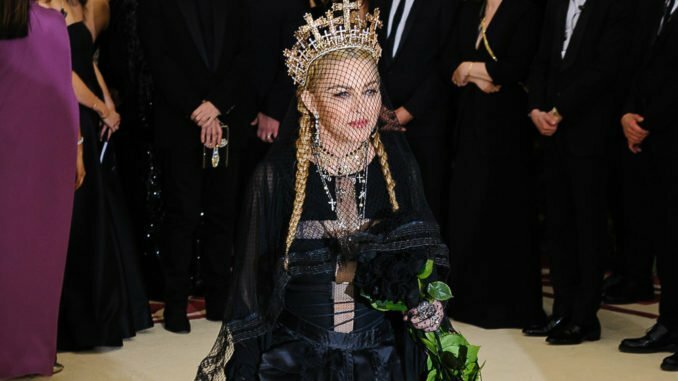 ‘Like A Prayer’ star, Madonna kicked off 2019 with a surprise show at the Stonewall Inn after being named an ambassador for the 50th anniversary of the riots at the iconic bar in 1969 – which helped start the modern LBGTQ movement – and she arrived just after midnight with her son David Banda to perform two songs. As reported by Billboard, she told the crowd: “I stand here proudly at the place where pride began, the legendary Stonewall Inn, on the birth of a new year. “We come together tonight to celebrate 50 years of revolution… If we truly took the time to get to know one another we would find that we all bleed the same colour and we all need to love and be loved. With David playing acoustic guitar, Madonna also treated the audience to a rendition of her hit ‘Like A Prayer’, and a cover of Elvis Presley’s timeless classic ‘Can’t Help Falling In Love’. She also paid tribute to those who came before her in joining the campaign for equality. She said: “I walk in the shadows of giants, the freedom fighters who have gone before me but let’s be giants ourselves.